The opening chapters in Notorious Match take place in a London mansion that still stands today. In my manuscript, the fictional hostess, Lady Louisa Lansdowne, has the privilege of holding the inaugural event of the Season. Louisa has little regard for the house’s political history even though it witnessed the final negotations that confirmed a Nation’s independence. She is more concerned that her balls are well-attended and therefore is thrilled when Lord Griffin Montgomery arrives at her party. Now she is assured her ball will be the premiere event for every eligible, unmarried female for many Seasons to come. Lord Griffin Montgomery rarely attends ton parties, you see. This post is the beginning of several in a series that tours this magnificent home. Lansdowne House was built upon real estate sold off by Lord Berkeley’s widow in the eighteenth century. The third Earl of Bute purchased the south side of the square that took her husband’s name. Lansdowne House was built according to Robert Adam’s 1761 design and was largely completed by 1768. By then Lord Bute had thrown in the towel and the house was finished under the ownership of another British prime minister, Lord Shelburne, whose name graced the house for a time until his lordship was granted the marquisate of Lansdowne. The odd thing about Lansdowne House is its placement. 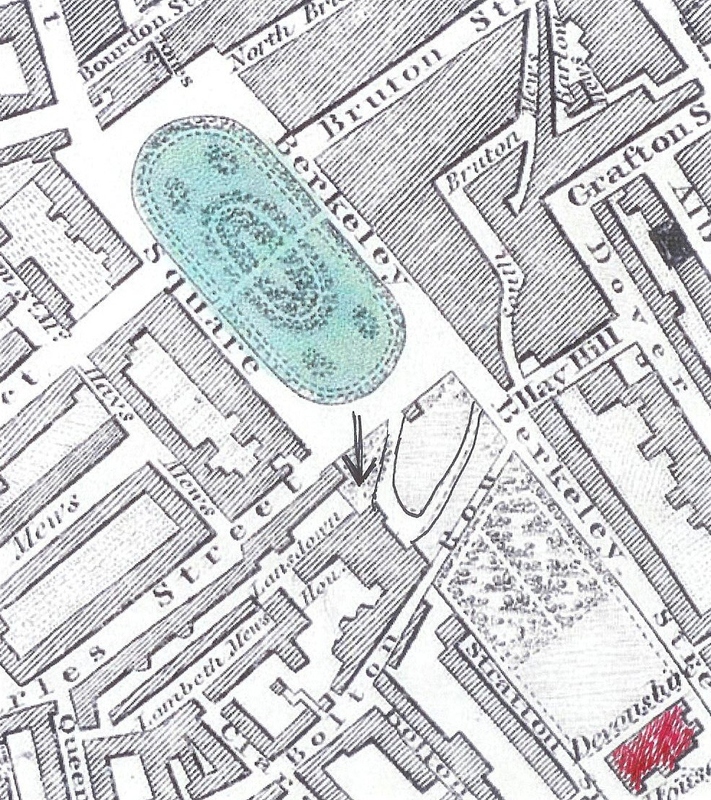 It does not face Berkeley Square (note the arrow in the adjacent map and the circular front drive), having been situated in such a way as to present its side to the park. This configuration was to allow the Dukes of Devonshire to have an unobstructed view of the square from their London mansion situated to the south-east (in red). 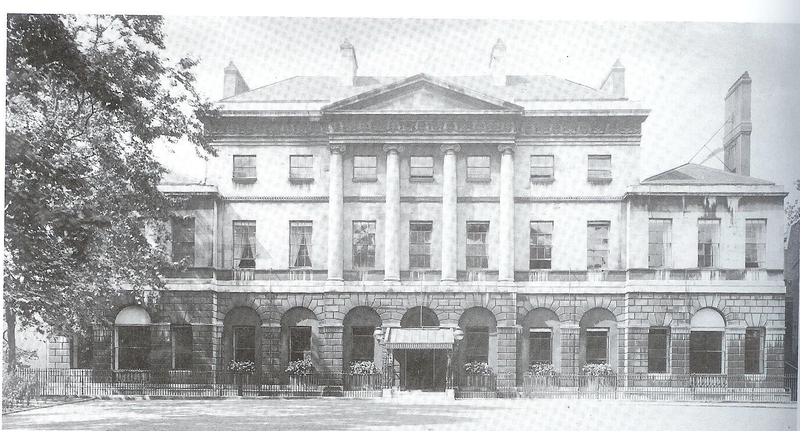 Lansdowne House was therefore allowed a massive front garden, an advantage few others in the great metropolis had. Indeed, walkers in Berkeley Square were excused from assuming they were in the country when walking past Lansdowne House, peering through the iron gates at a drive that disappeared into carefully tended landscape. The only evidence of a building beyond was its exquisite pediment rising above the trees. This quality was also very nearly the downfall of Lansdowne House. In the Great Depression, the London council with authority over Berkeley Square determined that a road linking Curzon Street to the square was sorely needed. The line of houses known as Bolton Row, where Henry James’ sister and other intellectual luminaries had resided, was demolished. But this was not enough. The road was extended through Lansdowne’s front garden and Fitzmaurice Place was created in front of the mansion. To accommodate the new street and buildings, Lansdowne House had to be moved back forty feet. The only solution, short of destroying the house, was to remove all the front rooms and reconstruct the facade on the truncated building. Some of these front rooms were among the finest designs of Robert Adams in England. The mutilation of Lansdowne House meant that they must go. And so they went–to far-flung places. Now that’s cutting off your nose to spite your face. 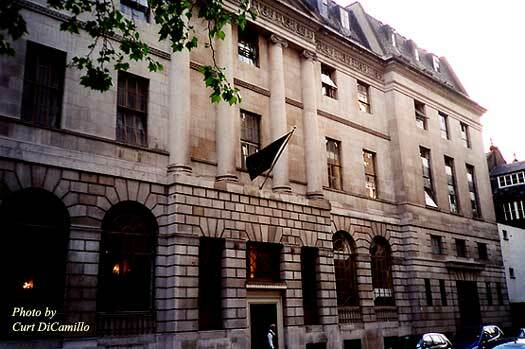 This entry was posted in Notorious Match, Regency and tagged Berkeley Square, Bolton Row, Devonshire House, Fitzmaurice Place, Lansdowne House, Lord Bute, Lord Shelburne, Palladian, Robert Adam by Angelyn. Bookmark the permalink. You are very perceptive, Ally! I guess we can at least be thankful they didn’t demolish the whole thing. Thanks for commenting. One correction is needed: Alice James was not Henry James’ sister. She was the wife of his older brother, the philosopher, Wiliiam James. As her brother-in-law’s executor, she edited his letters which she thought might damage the family’s reputation. Edith Wharton might have been given this task but Alice thought she was too overbearing and scandalous. Thank you for posting this. I love learing about old houses. I agree with your comment. Yes, Vivian–the next few posts, actually. You’re very kind. Excellent post. It is so interesting, and sometimes sad, to learn the history of the great houses of London. So few are left. My thanks, Candice. What’s astonishing is the mediocrity that replaces them. on Saturday? It appears the sister in law was the gatekeeper. Yes–that article bemoans the posthumous legacy of great writers like James. The loss of the house was merely a footnote. Such short-sightedness! Looking forward to the next installment! Well done, Angelyn! I totally agree. They just don’t build them like they used to. Thank you very much for the comment–and the kind compliment! As always, enlightening and thought provoking. Can’t wait to hear what you post next. Likewise, I’m sure. You might find the ballroom installment particularly interesting, given your marvelous Persephone project. Oooh! So are the Lansdowns neighbors with the Devonshires in your novel? Do they make any appearances? If I recall the Devonshires threw quite a ball, didn’t they? There was a time, before the events in Notorious Match, that my heroine was considering a marriage proposal from Hart, the Duke of Devonshire. He makes a couple of appearances in her story, reminding her she is like him–destined to be forever lonely. Ooooh! I can’t wait to read it!